Really? Po King? Yup, Big D was super confused at my lunch suggestion. He loathed the idea of being yelled at and made to wait for a table (at the table) when the previous patrons are still there eating! He was also perplexed that I would suggest such a preposterous food adventure. 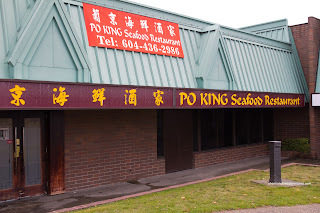 If you've read this blog from the first year, you'll know that my previous experiences at Po King were not the best. In fact, my family frequented the place for about half-a-year. However, even with such loyal customers, the owner (aka Dragon Lady) did not see fit to treat us right. The last straw was when we asked for all-of-our-dishes to be made without green onions. Now, with previous visits, they ignored our requests and we merely let it go. But this time, we just had to say something. We did and the male manager was almost willing to do something about it. However, the owner vetoed it and in fact, took a stroll past our table and saw the green onions in all of our food and decided to brush it off. So we left, vowing never to return. Well, never say never right? With a food posse by my side, I built up the courage to do the unthinkable - a return visit with the potential of being verbally abused. The brave souls included Big D, Slick, Headcase, Gordo and Mr. Mom. And also please excuse the quality of the pics because I tried to take them as fast as possible. Last time, Herbie the Lovebug got scolded for taking photos! 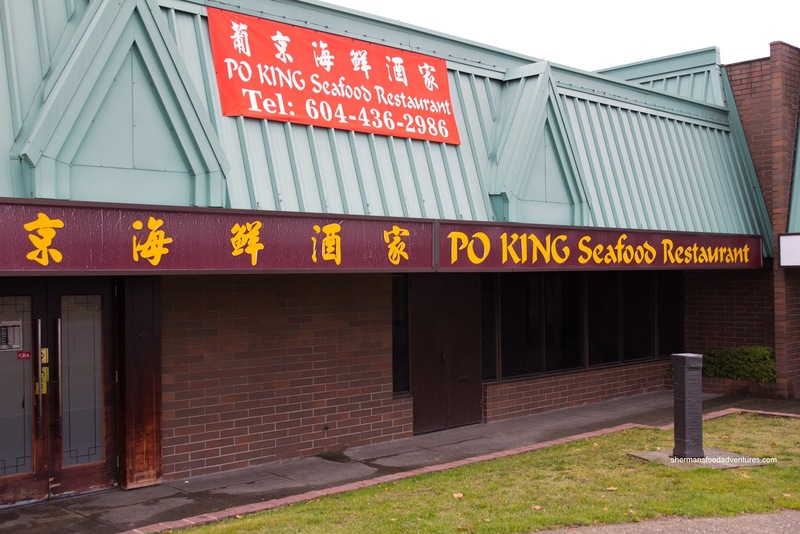 Even with all the bad service and owner-initiated abuse, the food has generally been decent and a good value at Po King. That was pretty apparent with the Haw Gow as they were massive. 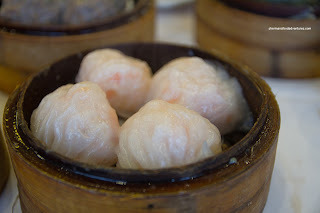 They were full of whole shrimp which had a very good snap texture as well as exhibiting a good amount of sweetness. 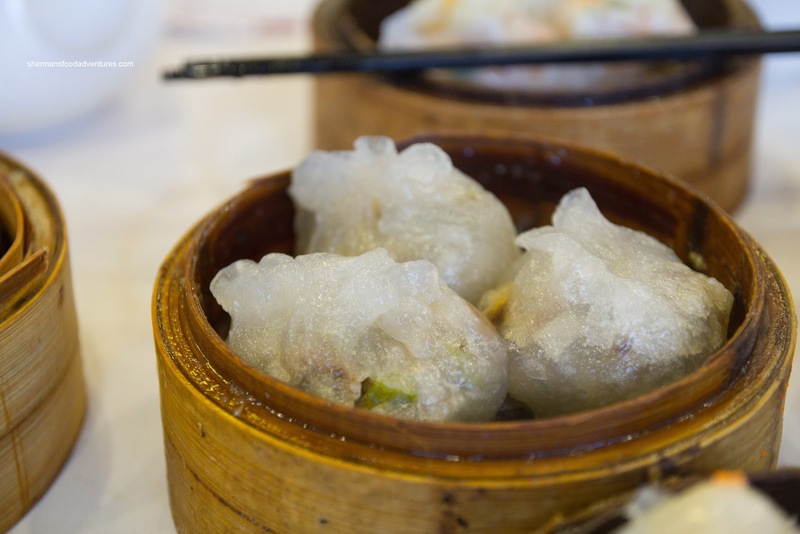 Other than the wet dumpling skin, they might want to be more careful with the shrimp shells as 3 of our dumplings had some. The Sui Mai were equally large, but were pretty lousy. 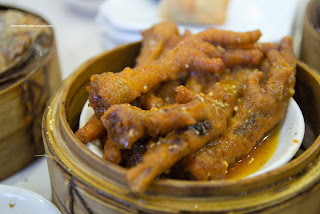 They were overly dry and bland with meat that was chewy (in not a good way). Furthermore, there were large chunks of unchewable fat. The theme of large continued with the really massive Beef Meatballs. 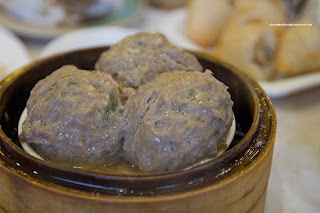 We considered ordering 2 steamers, but in the end, there were enough balls to go around... Um... Anyways, the meat was moist, but curiously soft and devoid of bounce. 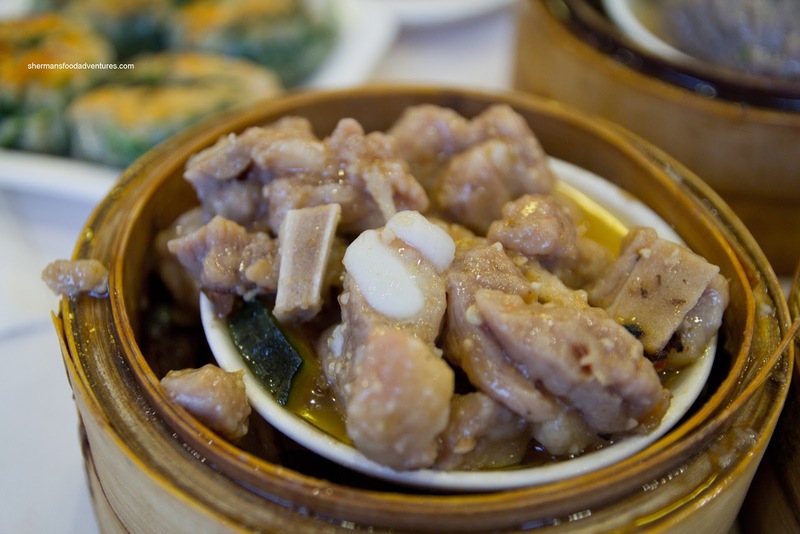 Hence, it was a ball of mushy meat, which was in need of more green onion, as it was bland. Great, here I am asking for more green onions... Deja vu! 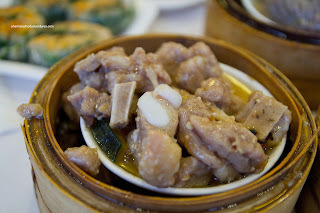 The Steamed Pork Spareribs were practically spilling out of the plate since there was so much of it. Only a modest amount of soft pumpkin hid underneath. As for the ribs, they were meaty and bouncy where the fatty and cartilage pieces were kept to a minimum. The dish itself was super-flavourful, maybe too flavourful. Yes, there was a wealth of MSG used. Strangely, it didn't seem like they used enough of it in the Bean Curd Skin Rolls. The ground pork filling was pretty plain (with not much to go with it), really stiff and dry. The lack of sauce also compounded the problem. At the very least, the bean curd skin was okay in texture as it wasn't over-fried. negated the overall crispiness of the exterior. 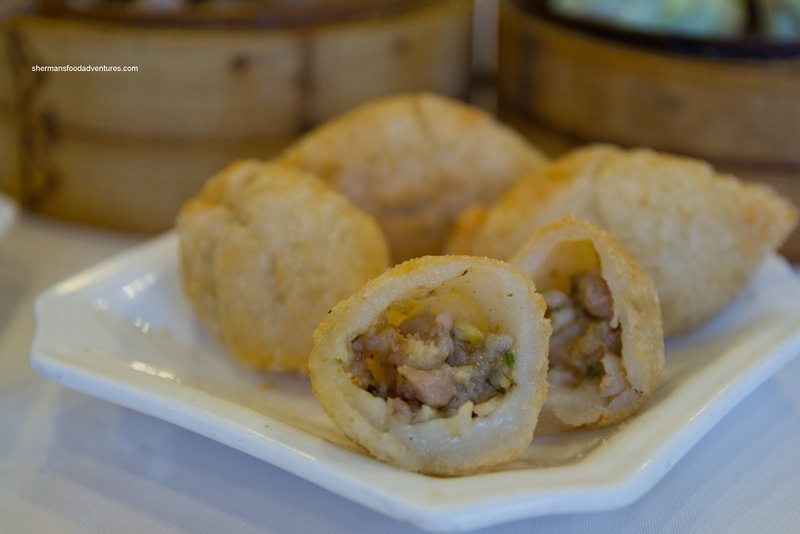 The Fried Glutinous Dumplings were also pretty crispy on the outside. The layer of glutinous rice flour was just thick enough without being a chore to eat. The filling was a bit weak though. 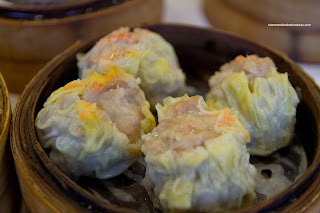 The ground pork was mealy and dry while there was little in the way of any flavour. With all this food, we really should've had a bigger table, we had to resort to stacking the steamers to make everything fit. It's awesome to have such dedicated eaters who have big appetites! 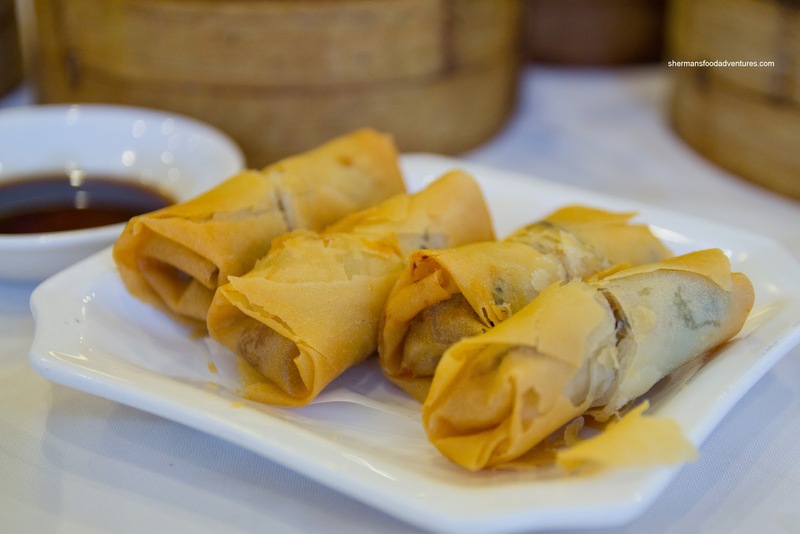 We got an order each of the Shrimp Rice Noodle Roll and the Beef Rice Noodle Roll (not pictured). 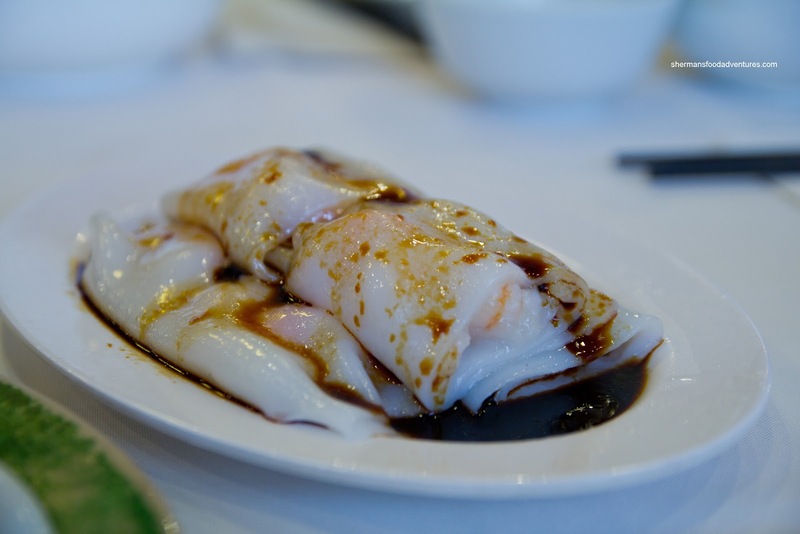 The rice flour noodle was pretty soft while the filling was somewhat sparse. When there was filling, it was good though, having a snap and being well-seasoned. When the Fun Gwor came calling, none of us answered... Except for Mr. Mom. He would learn to regret that decision as the dumplings were gawd-awful. The rice flour exterior was a bit thick and gummy while the filling sucked. Period. 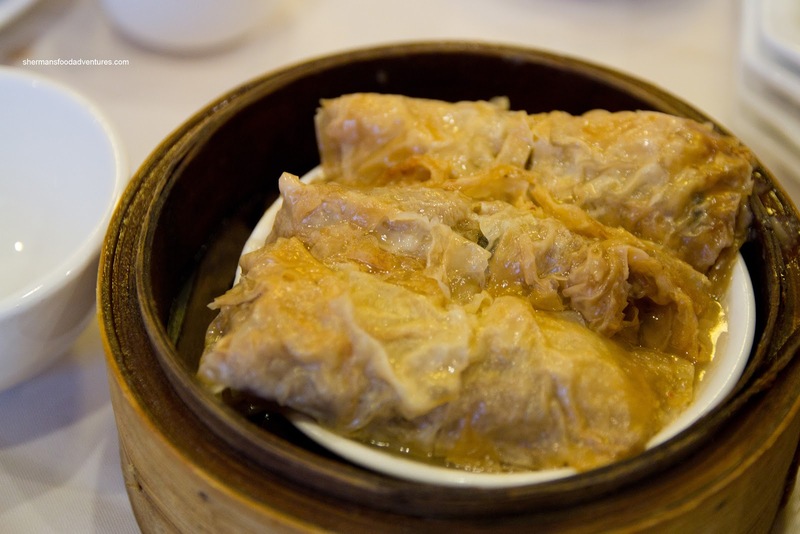 It was dry, bland with very little meat and worst of all, it had a stale quality to it. Not saying it was stale, but it just tasted so. We made him eat the rest... LOL... 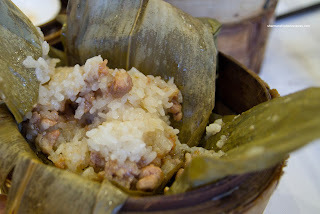 Continuing on with the dry theme, we had the Loh Mei Gai or sticky rice. We found the rice to be rather mushy while dry at the same time. Yes, that was a strange combination. Compounding the problem was the very dry meat filling that was devoid of flavour as well. the ginger or onions. 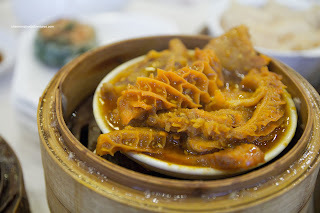 The honeycomb tripe was done nicely as it was soft with only a modest bite. There was a noticeable garlic hit as well as MSG. It was also rinsed well as the gaminess was kept to a minimum. 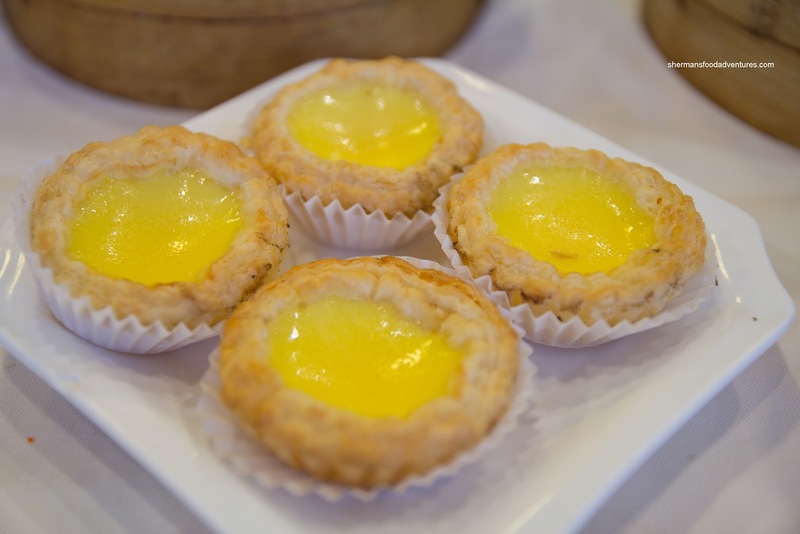 Lastly, we had the Egg Tarts (somewhat near the end of the meal) which were pretty good. The flaky and buttery (or lardy) tart shell gave way to a soft semi-sweet egg custard. It was served warm and we all liked it. That was a nice end to a roller-coaster meal. When there was a high, it was pretty good, but where there was a low, it was pretty crappy. The service was actually acceptable and the prices didn't hurt our wallets. Of course, it really helped that we came on a weekday because it might be different if the boss lady was around. Yet, I need to call it as it is - it was an average experience.